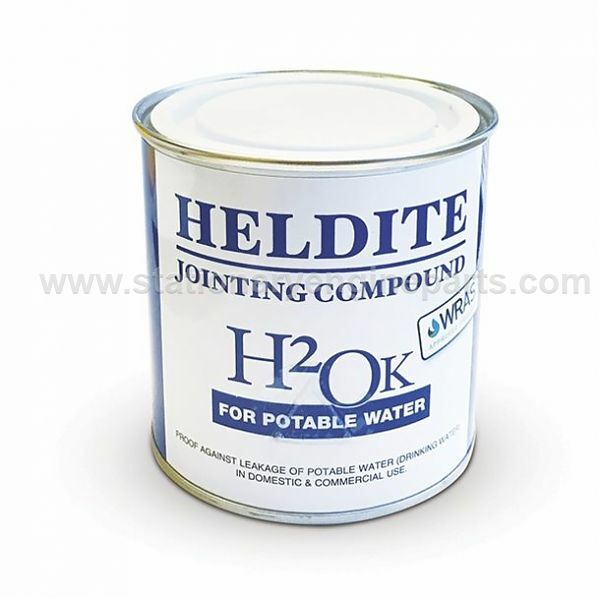 Heldite H2Ok Jointing Compound is a silicone-based jointing compound that does not support microbiological growth and is compatible with most metals, plastics and rubber. Non-toxic and environmentally friendly that meets the requirements of the Water Regulations Advisory Scheme (WRAS). Tests of effect on Water Quality, BS 6920:2014: Parts 1 – 3 / hot (up to 85 centigrade) and cold water.